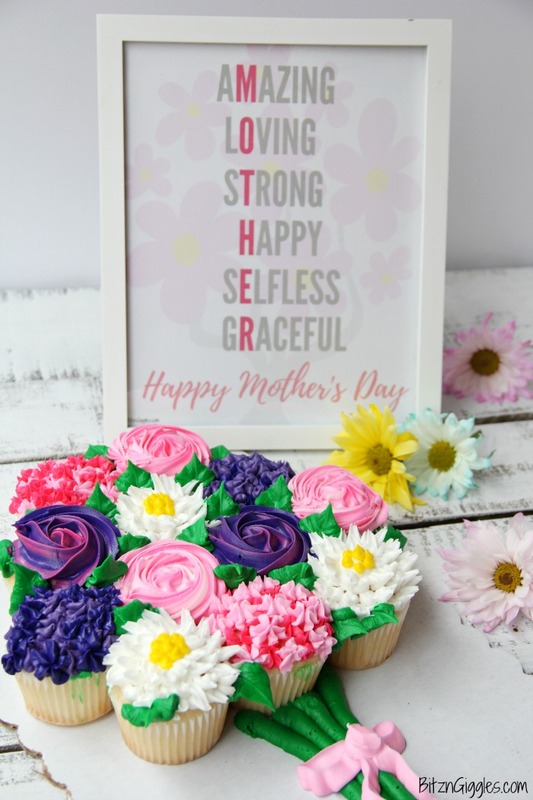 Mother’s Day Cupcake Cake with Free Printable – A simple, beautiful cupcake flower bouquet that comes together with store-bought cupcakes from the grocery store bakery! Thank you to Give Bakery Because and Rich Products for sponsoring this post. All the content and opinions expressed here are my own. Cora came home from school the other day grinning from ear to ear. She couldn’t wait to tell me about the Mother’s Day gifts she and her classmates were making. Every Mother’s Day I look forward to the simple, sweet gifts I receive from my kids. In fact, I think every mom out there appreciates simple, sweet gifts. Just knowing you’re appreciated means so much! 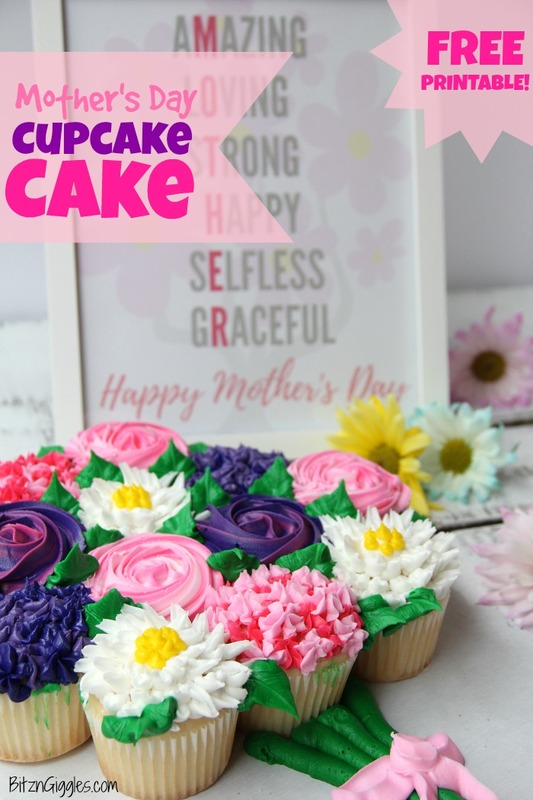 I couldn’t wait to share this gorgeous Mother’s Day cupcake cake with you today. However, I need to get something out of the way really quick. . . I didn’t make these cupcakes. I picked them up from the bakery section of my local grocery store. It’s true. And you know what? I couldn’t be more proud of myself. 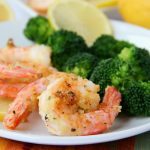 You’ve heard the saying, “Work smarter, not harder,” right? Well, that’s what we’ve done here today, friends. If your life is anything like mine, your days are busy. Sometimes, it’s difficult to keep up. But through all the hustle and bustle, we must still find time for the special people in our lives. It’s SO important. When we visit my mom on Mother’s Day there will be 10 of us at the house. We usually go out for brunch and then come back to my mom and dad’s to chat and enjoy the day. What better way to keep the celebration going then with cupcakes? 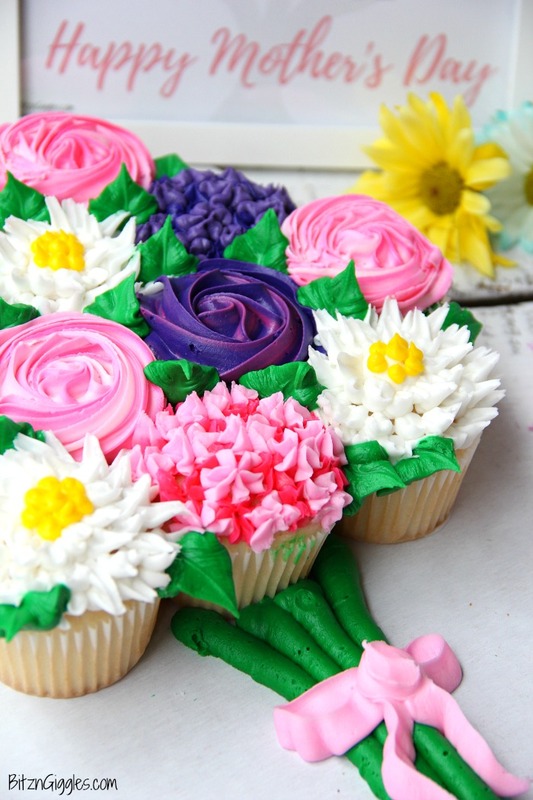 When I saw these gorgeous flower cupcakes while shopping, I knew I had to have them. 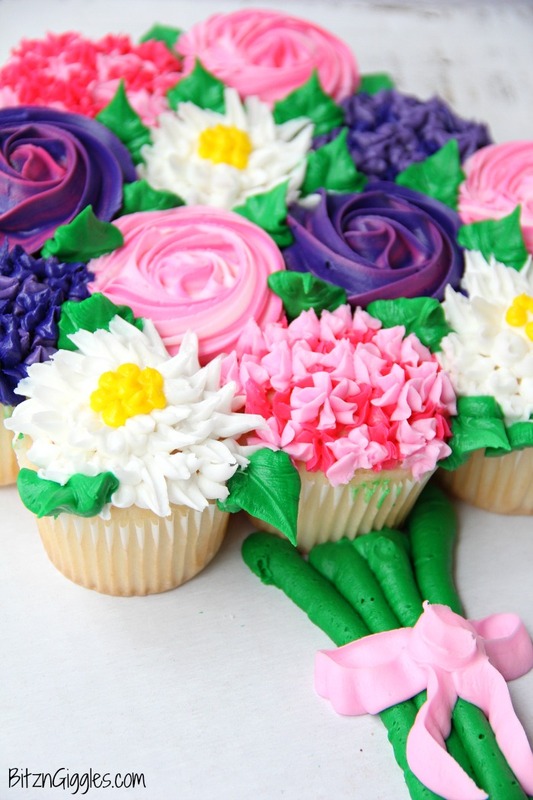 I took the container of the dozen cupcakes up to the order window and asked them to turn it into a flower arrangement – group them together, add some petals and stems. Not only were they happy to do that for me, but they even added a bow I never even asked for. This GORGEOUS cupcake bouquet cost me $10. TEN DOLLARS. And maybe 15 minutes of my time. They did it right then and there. In the past I had purchased cakes at the store that I would take up to the window and have them pipe a message onto them. They always did it happily, and for free. 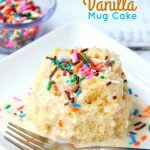 I thought, why not try something similar with cupcakes? Now, I’m not saying ALL grocery store bakery sections are as cool as mine, but it’s pretty standard practice for them to help you out with piping if there’s a decorator on-hand. And honestly, as long as I could have bought the packaged flower cupcakes, I’m pretty sure I could have piped on the leaves and stem on my own. Done and done. 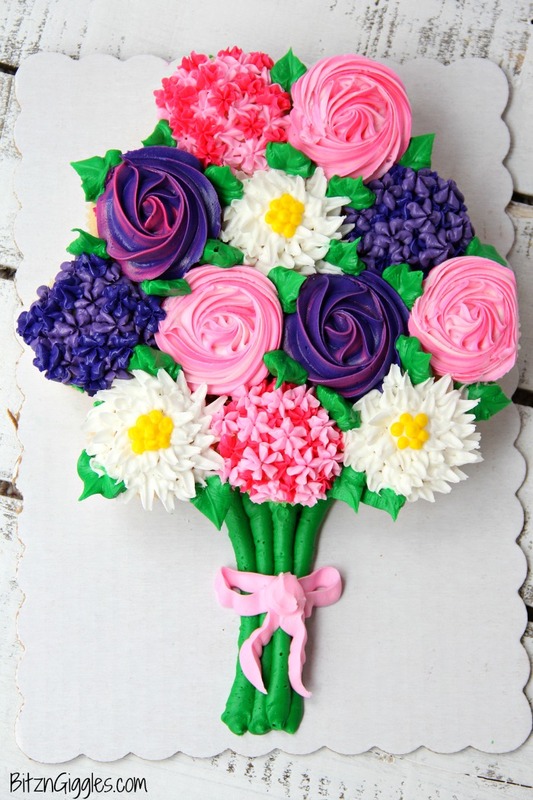 You want to celebrate Mother’s Day with a cupcake bouquet too, don’t you? I hope you do! I was thrilled with how this came together. To put my own special, handmade touch onto the gift, I created this printable. I framed it, and plan to display it along with the cupcake cake. If you’re thinking, “I want to get me one of those pretty signs.” Well today’s your lucky day! You can download it for FREE here! 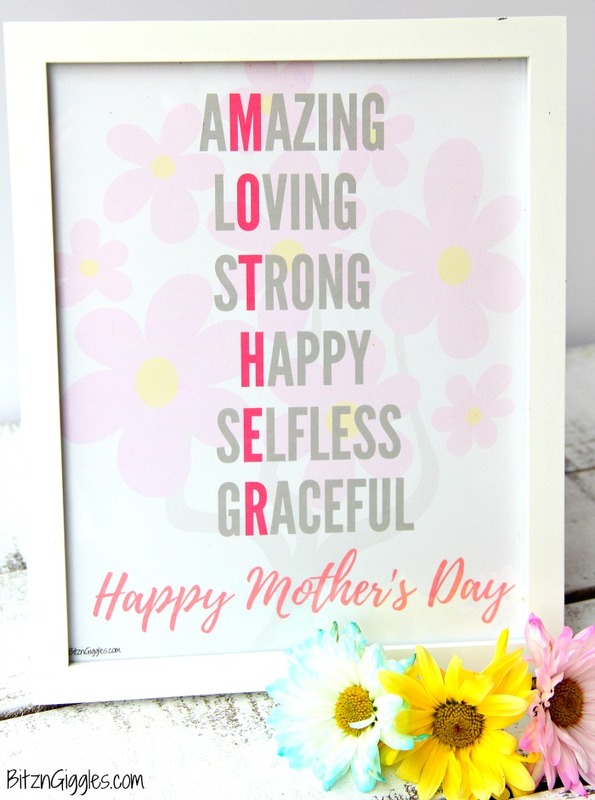 Mother’s Day is about showing your mom she is appreciated. It’s a day to spoil her. To say thank you for everything she’s done and everything she continues to do. Her unconditional love, her patience, her words of wisdom. 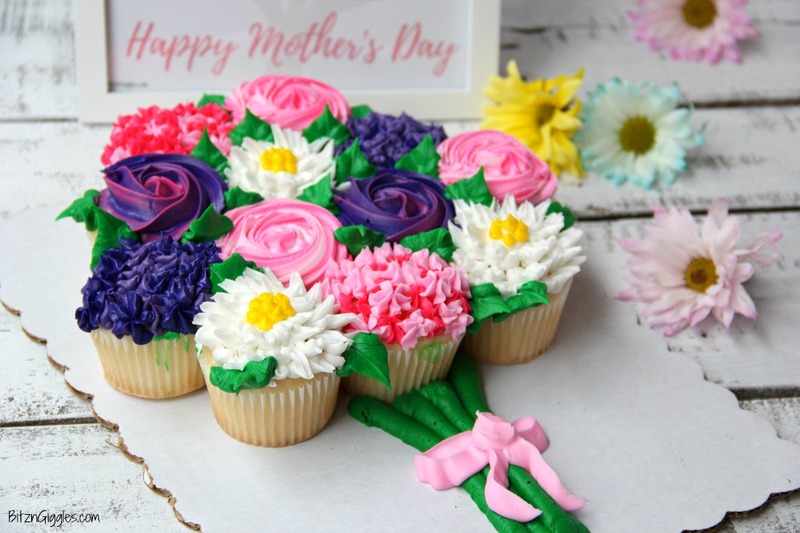 Surprise your mom this Mother’s Day with an easy and inexpensive cupcake bouquet and thoughtful printable. Share the sweetness and celebrate HER. 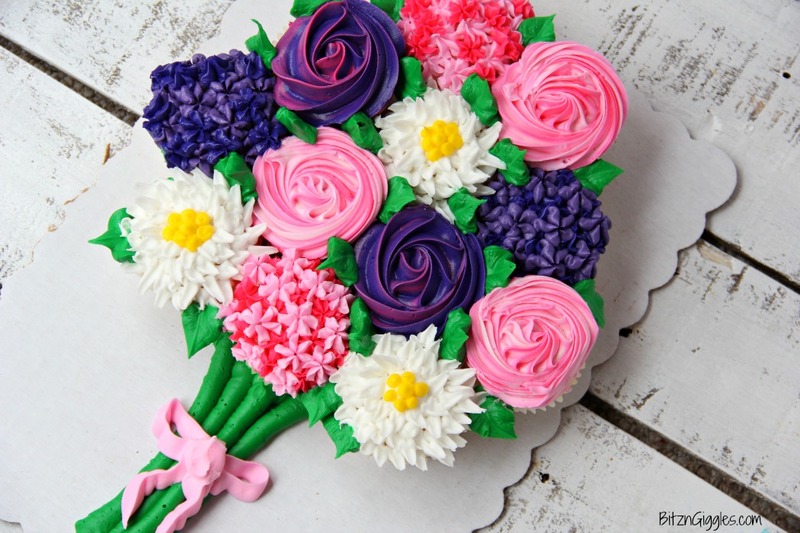 For more creative ways to package baked goods for your special moments, visit the Give Bakery Because Pinterest Page. 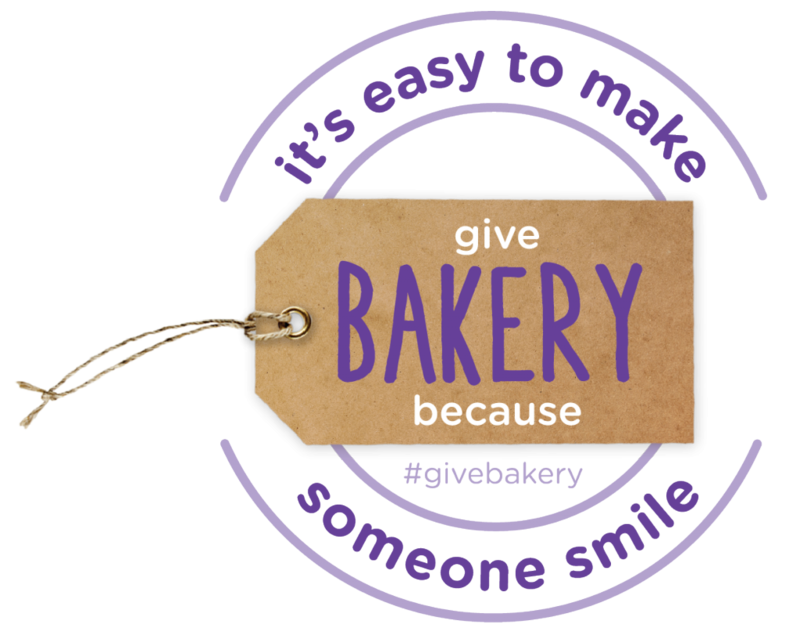 And don’t forget to share how you “give bakery” on your social channels using #GiveBakery. I can’t wait to see what you come up with! What a great idea and so lovely and colorful looking! 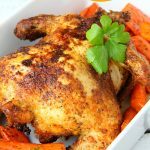 Plus tasty! 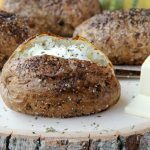 Definitely tasty and such a pretty gift for someone special! It’s amazingly beautiful. My mother is my world. I will love to try this for my Mom.